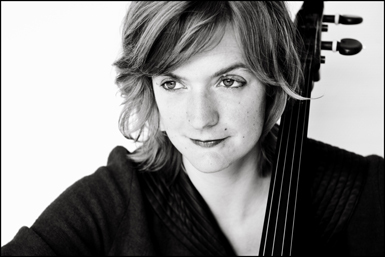 Cellist Tanja Tetzlaff performs an extensive repertoire, including the staple solo and chamber music literature, and important compositions of the 20th and 21th centuries. In 2011, a recording of cello concertos by Wolfgang Rihm and Ernst Toch was released by NEOS. Tanja Tetzlaff has played with leading orchestras such as the Tonhalle Orchestra Zurich, Bayerischer Rundfunk, Konzerthausorchester Berlin, Deutsche Kammerphilharmonie Bremen, Royal Flanders Philharmonic, Spanish National Orchestra, Orchestre Philharmonique de Radio France, Orchestre de Paris and Cincinnati Symphony Orchestra, and collaborated with conductors such as Lorin Maazel, Daniel Harding, Philippe Herreweghe, Sir Roger Norrington, Vladimir Ashkenazy, Dmitri Kitajenko, Paavo Järvi, Michael Gielen and Heinz Holliger. Chamber music also plays a significant part in Tanja’s career, with regular appearances alongside Lars Vogt, Leif Ove Andsnes, Alexander Lonquich, Antje Weithaas, Florian Donderer, Baiba and Lauma Skride, and her brother, Christian Tetzlaff, including at the festivals in Heidelberg, Heimbach, Bergen and Edinburgh. She and duo partner Gunilla Süssmann are also regular guests in concert series throughout Scandinavia and Germany, and recently recorded two albums released by CAvi-music, featuring the Brahms cello sonatas and works for cello and piano by Sibelius, Grieg and Rachmaninov. In 1994 Tanja founded the Tetzlaff Quartett, with Christian Tetzlaff, Elisabeth Kufferath and Hanna Weinmeister. For her recent solo performances she has been with the Philharmonia Orchestra London, the Iceland Symphony Orchestra, Royal Northern Sinfonia Orchestra, Scottish Chamber Orchestra, the Orchestre Nationale des Pays de la Loire, the Tokyo Metropolitain Orchestra and the NHK Orchestra Tokyo. In the chamber music field she goes on tour again with Lars Vogt and Christian Tetzlaff, with concerts in Germany, Paris, London, Bilbao, Antwerp and Luxemburg. In various chamber music projects she also appears at the Lucerne Festival and at the Mozarteum Salzburg. Tanja studied with Bernhard Gmelin in Hamburg and Heinrich Schiff at the Mozarteum in Salzburg, and plays a cello by Giovanni Baptista Guadagnini from 1776.